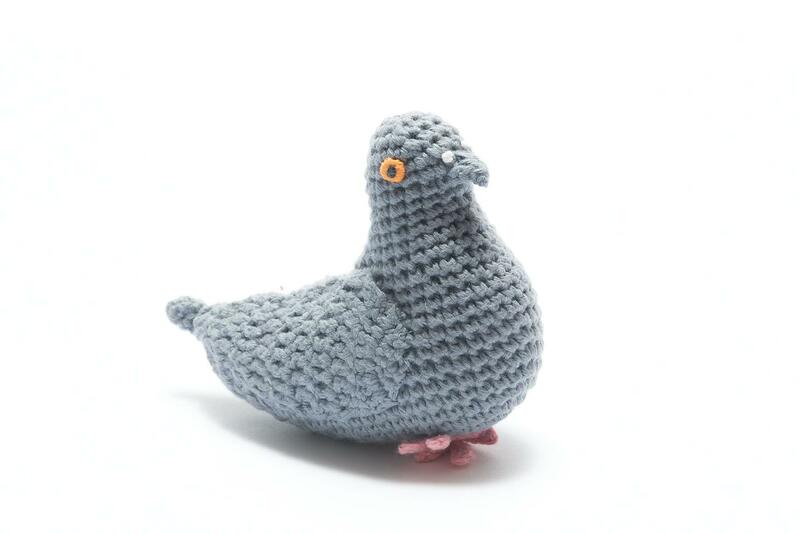 Our crochet cotton Pigeon baby rattle is part of our London Tourist range - no visitor to London can fail to miss the pigeons in Trafalgar Square although they are no longer allowed to feed them. Suitable from birth, machine washable. Ethically sourced. Best Years are a soft toy manufacturer based in the UK. All our crochet London baby toys are available to wholesale, retailers and museum customers.